Limited Holiday supply, order early! 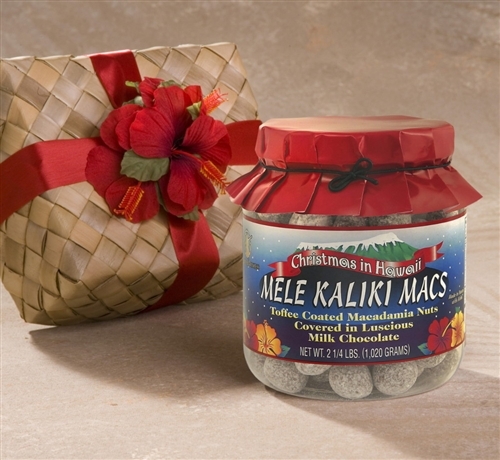 The Original Holiday Mele Macs that started it all! Our generous-sized gift jar of Island Princess' best seller: MELE KALIKI MACS Made in Hawaii. *Gift boxed in a lauhala basket!